Smokin Ed 's Carolina reaper. 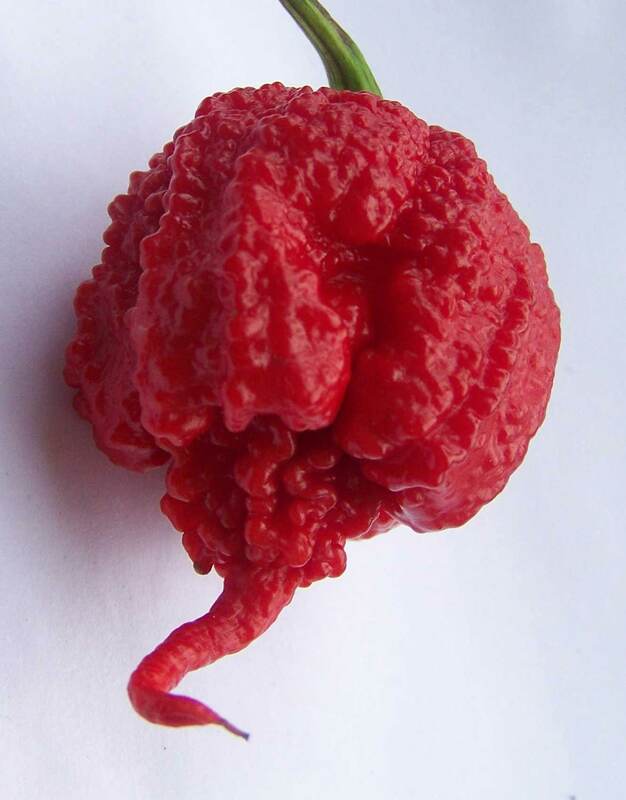 The Smokin Ed 's Carolina reaper chilli belongs to the species Capsicum chinense and it has reached the most high levels of spiciness, 2,200,000 Scoville degrees. The average value published in the Guinness world record in 2013 is, however, of 1,569,383 Scoville degrees. The seeds of Smokin Ed 's Carolina reaper were extracted from berries of isolated plants and grown in La Casetta since from the year 2014. The first Smokin Ed' s Carolina reaper seeds chili were purchased in February 2014 directly from PuckerButt Pepper Company. 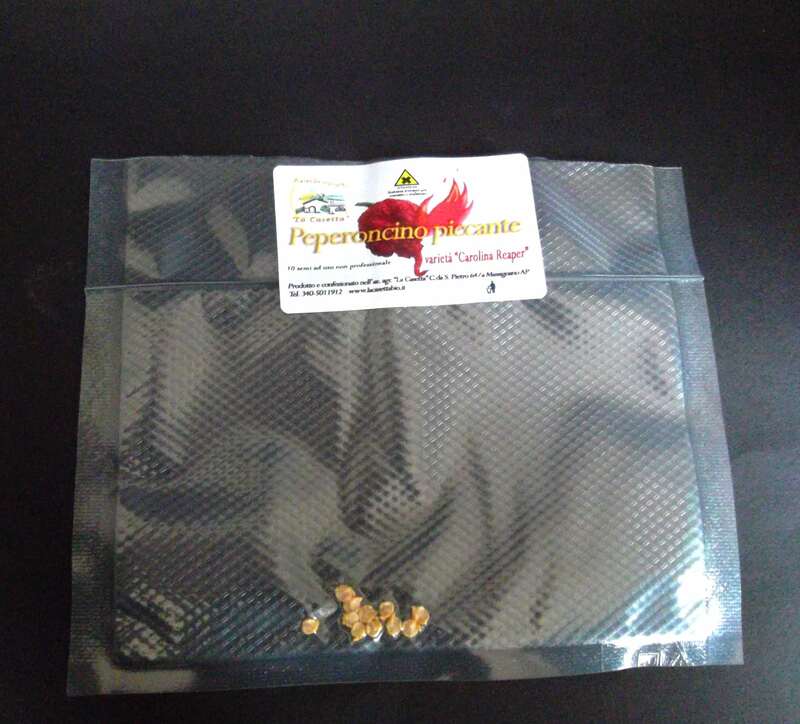 Vacuum bag with 10 seeds of Smokin Ed 's Carolina reaper chilli.